A Roku 3 is a pretty good TV box. I just brought one recently as I have been looking for something that’s great for turning my normal TV into a Smart TV and allowing me to watch more movies and TV shows online. I personally use my Roku 3 to watch heaps of NetFlix and YouTube. You’ll need to set up a US address so that you Godiva chocolate can be delivered there. As soon as you register with comGateway, you’ll be given a free, sales tax-exempted U.S. shipping address, and the fun can begin! 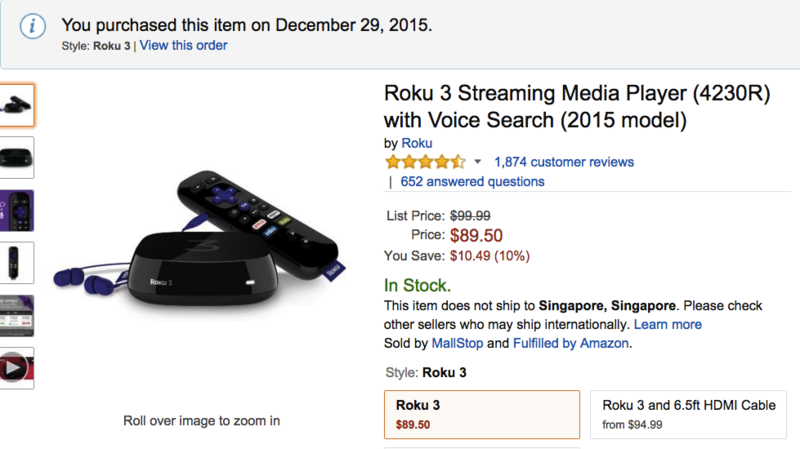 Start shopping on Amazon is selling the Roku 3 for 89.50 USD (128.84 SGD plus shipping costs) and use your new US address. I personally brought my Roku 3 from Amazon and paid $86.74 USD with free domestic US shipping to my US address. I actually brought a pair of shoes too if you’re wondering why there is shoes in the screenshot below. If you get stuck due to payment reasons, that is the online store won’t accept your credit card, use comGateway’s BuyForMe service. comGateway notify you as soon as your packages arrive. When you log in, you’ll have full control over what happens to your package next. Here’s an example from my recent purchase from Amazon. Once all your Roku 3 (along other items from other US online stores if you brought other things) arrive at your comGateway address, then when you’re ready, to ask them to ship them to your home. Review your International Shipping order. In my purchase, at this step, I reviewed the order again after entering my payment details. I have chosen the “Standard” shipping option. My costs are as follows (assuming I purchased the Roku 3 only). 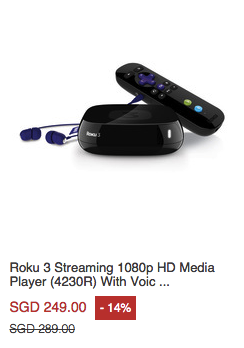 So my Roku 3 only cost me 108.10 USD (155.62 SGD). 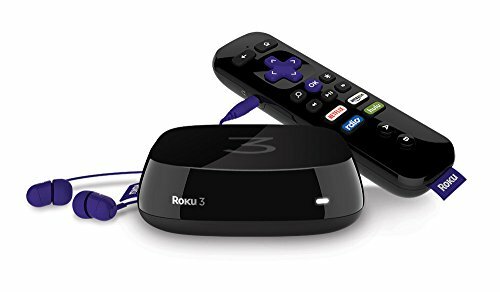 Step 5 – Enjoy your Roku 3 streaming TV box! Enjoy your Roku 3, shipped directly from the US.